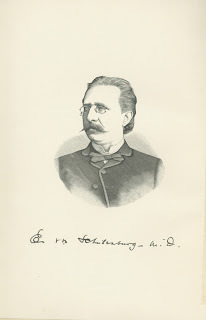 Ernst Von Schulenburg was both a minister and a physician in Sandusky, Ohio. He was born in Berlin in 1849, and settled in Sandusky in the 1870s. In 1872 he was the pastor of Emmanuel German Evangelical Protestant Church, and later he served as pastor of the St. Stephen’s German Evangelical Protestant Church. He is perhaps best remembered today as the author of the book, Sandusky Then and Now. 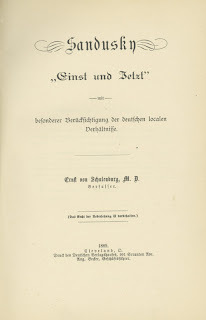 The author wrote the book in his native German language; the original title is Sandusky "Einst und Jetzt" : Mit Besonderer Berücksichtigung der Deutschen Localen Verhältnisse, which in English translates to Sandusky Then and Now: With Special Regard to Local, German Situations. In his book, Dr. Von Schulenburg discusses the political life of Germans in Sandusky, as well as German culture, customs, and business ventures. It includes biographies of several Sandusky German settlers, including their dates of migration. The book also provides a history of early Erie County and Sandusky, and includes an entire chapter on the cholera epidemics of 1849, 1852, and 1854. 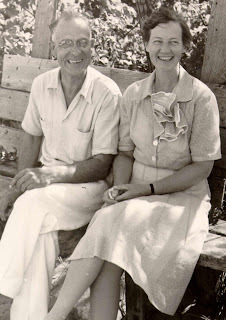 In 1959 Dr. Norbert A. and Marion Cleaveland Lange, chemistry professors who resided in Sandusky, translated Dr. 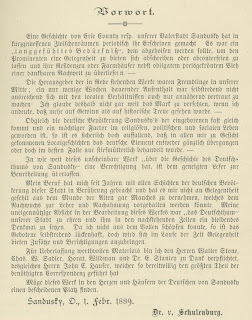 Von Schulenburg’s book. It was published as Publication 114 of the Western Reserve Historical Society. 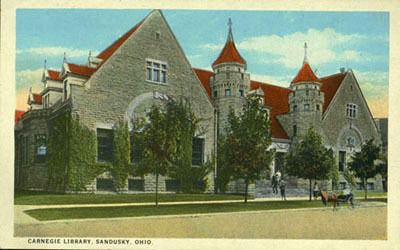 To read Sandusky Then and Now (in the English translation or in the original German) visit the Sandusky Library’s Reference Services area on the lower level of the Sandusky Library. This book is an invaluable tool if you have German ancestry and you are from this area. I found two generations of my family as well as migration dates and areas of origin. Thank you for posting this.